The colors of the rainbow, and a few that aren't in the rainbow to balance things out. Something is aqua if it is a bright blue-green. It might also be called cyan. 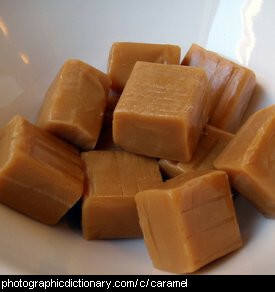 Beige is a word that can be used to describe any color ranging through cream, off-white to light brown. In general, it means a light greyish-brown. It is an extremely popular color to paint the walls inside houses. Beige can be another word for boring, as in "he has a beige personality". Black is the colour of the night sky or the deepest, darkest shadow. 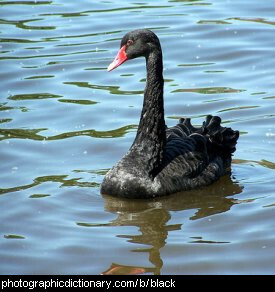 The swan in the picture is black. Many animals are brown, and dirt is brown. The colour brown can be made by mixing a few other colours of paint together without thinking, you'll usually get brown this way! 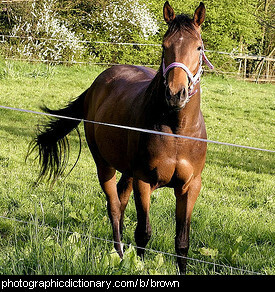 The horse in the picture is brown. 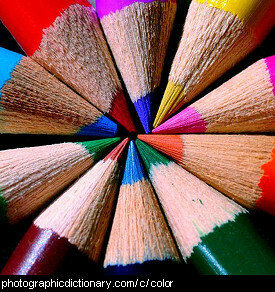 Color, also spelt colour, is something that makes things look different from each other. There are lots of different colors - you can see the primary colors in the rainbow. Cream is a fatty part of milk that floats to the top of fresh milk. 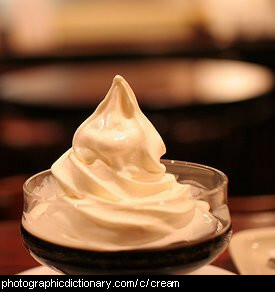 Cream is thick and white or slightly yellow and is delicious on fruit, hot drinks, pancakes and many desserts. Cream is also the name for a yellowish-white color. 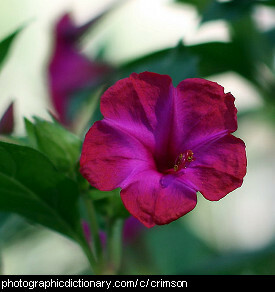 Crimson is a deep red at the purple end of the red spectrum. People usually just use crimson as another word for red. 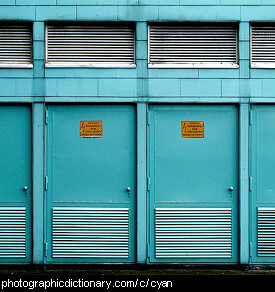 Cyan is a bright, blue-green colour. 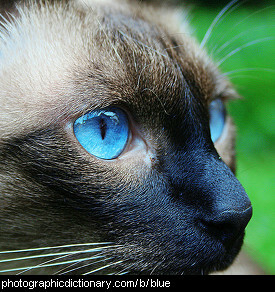 Cyan is also called aqua.